Here I post all the products I use for drawing with my iPad Pro and Apple Pencil. I provide links to the Amazon store in USA and UK and products that or not available on Amazon I will provide direct links. Since I bought the iPad Pro it has been my main painting tool. To me it is the best drawing and painting experience. I also use it to watch my favorite shows on Netflix and listen to my music while drawing. The iPad Pro has for speakers that give a perfect sound. I really like the big display. You can easily fit two apps on your screen with the split view. I use that a lot for using pictures for reference. On one side I have the Photos app and on the other side my drawing app. The Apple Pencil has a very sleek design. it looks very simple but it is the best stylus for iPad. They designed it to work as a pencil. 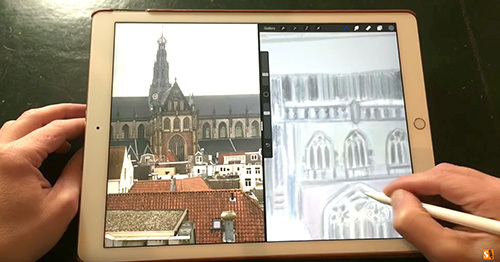 When you tilt you Apple Pencil you can draw with the flat side of your pencil and draw and paint with a bigger brush. The Apple Pencil is the most accurate stylus and even beats the drawing pens of Wacom. They have had the monopoly on best drawing styli, but the Apple Pencil has surpassed them. 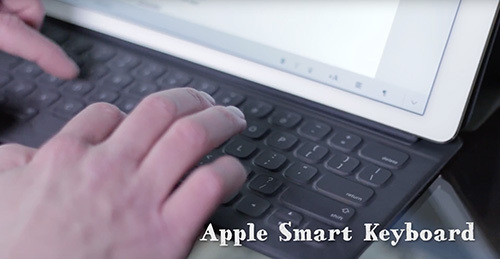 The Apple Smart Keyboard is especially designed for iPad Pro. On the iPad Pro there are the smart connectors that your Apple Smart Keyboard clicks into. You don’t need Bluetooth to connect your keyboard. As with all Apple products the prize is high, but you will get a product that integrates with all of the Apple products you are using. The keys feel different than any other keyboard I have used for my iPad. They are rather soft to the touch, but once you get used to it you can type away to your hearts desire. You can also flip the cover so that you can use it as a stand for your iPad Pro. This iPad Pro 12.9 case is a great and classy look for your iPad Pro. I have been using this cover for over a year now and it still looks great. It has a dark brown leather cover and a mocha inside. It has classy stitches and the product is well manufactured. It is great for traveling and protects your iPad thoroughly. The four speakers of your iPad Pro are left open and on the back there is an opening for your camera. It is very easy to take the cover off and put your iPad in. This dandy cover looks great on an iPad Pro Gold, but also on the other iPad Pro versions. When you use your iPad it will get dirty from your fingers. You will get grease stains. When you draw on the surface of your iPad Pro with the Apple Pencil and you draw on a greasy surface you will get bumps in your drawing because the Apple Pencil is very sensitive. Once a week I clean my iPad with the spray of iClean with the blue cloth that comes with it. I clean my iPad surface a lot with just the blue cloth. I have my iClean for 3 years now and I am still using the same spray and cloth, so this is definitely a good buy! 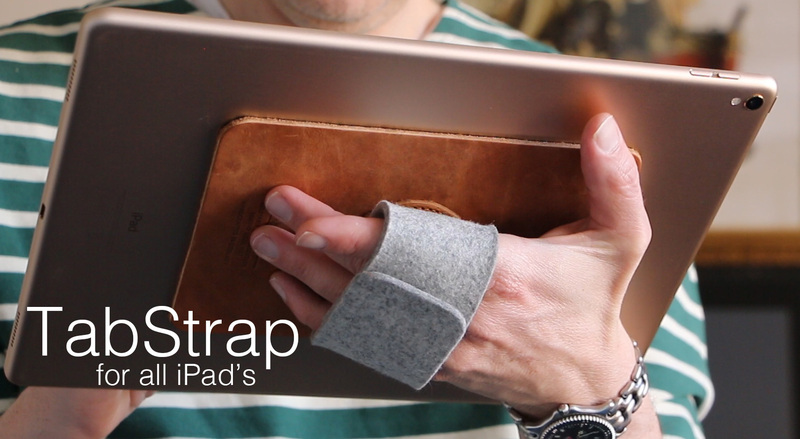 The TabStrap is a perfect holder for your iPad while walking around or standing. The TabStrap is handmade of natural products like Marino Wool Felt and Natural tanned leather. With this holder you can rotate your iPad in 360 degrees. So either you want to draw or paint in portrait or landscape mode, you can easily do that.You attach the tab strap with suction tape. You can apply and re apply it over and over again without damaging your iPad. The TabStrap works on all iPad sizes and other drawing tablets with a flat back. Go to the site of Pack & Smooch and order your TabStrap. 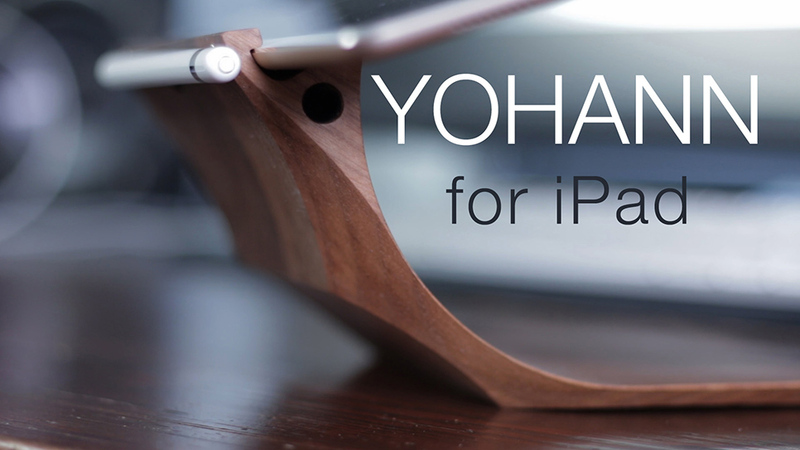 PaperLike is a screen protector for your iPad that gives a paper like feel when you draw and paint. PaperLike is developed by Jan Sapper. He created PaperLike to have a more haptic feedback, more resistance when you write or draw with the Apple Pencil. The Apple Pencil has a hard plastic nib and when you draw with it on the iPad screen it feels like skating. The PaperLike screen protector has more structure and tooth resulting in a more natural writing and drawing experience. Go to the site and order your PaperLike. It comes in all the iPad sizes.